Inanimate Existence are a progressive technical death metal band from Bay Area, California, USA. They have formed as a group back in 2011; since then, they have released four full-length albums. Their newest and fifth overall record is the upcoming Clockwork, scheduled to drop on May 10th. As you can probably gather from the tour name stated in the title, Inanimate Existence will be touring in support of their new record, sharing the stage (depending on the dates and locations) with Warforged, Flub, Eye of Horus, Aethereus and Aepoch – an extremely enticing line-up by any standard! Chicago-based blackened death metal band Warforged formed in 2012, and have since released a demo tape, an EP, and a stand-alone single. I: Voice is the title of their debut record, which is due for release on May 10th. 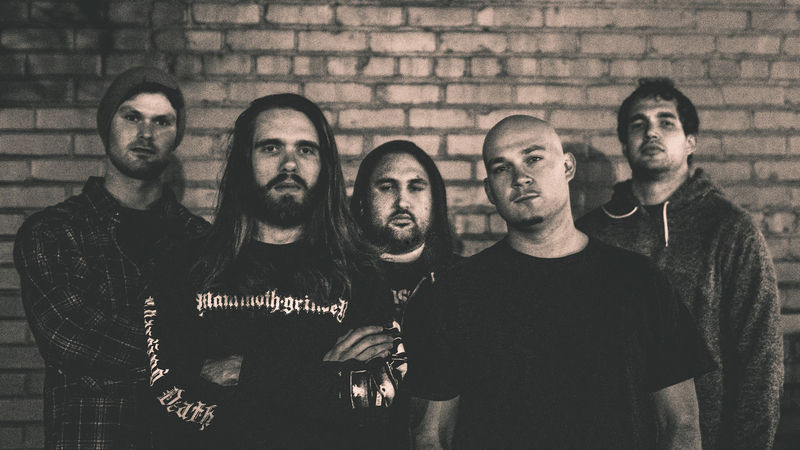 Aethereus on the other hand are a technical death metal band from Tacoma, Washington, who have been playing under this name for the past five years (they were formerly known as Seker). After their 2015 debut EP they released their first full-length album Absentia last year. Hailing from Cambridge, Ontario, Canada, Aepoch are a progressive death metal band. They have been active for the past seven years, having released a demo tape in 2013, an EP in 2015, and a full-length album, Awakening Inception, just last year. Their compatriots in Eye of Horus have been around for roughly the same amount of time, but they deal in a more standard brand of melodic death metal. So far, they have released two EPs and one LP. They haven’t put out anything for the past three years, however, so maybe new material is on the way. Last but not least, Flub are an American experimental death metal band formed in Sacramento, California in March of 2013. After having previously released two EPs, Purpose and Advent, they are now ready to unleash their self-titled debut full-length. The album is set for release on June 7th via The Artisan Era, who are really packing a sweet punch this year with all this fresh material! Don’t forget to follow Aethereus, Aepoch, Eye of Horus, Flub, Inanimate Existence, and Warforged! Previous PostLucy In Blue - "In Flight"